- Upon his departure from FOREIGNER, the bassist Ed Gagliardi hooked up with old mates John Blanco and Ed DiGaudio to work on demos in New York. Drummer Billy Milne was recruited from the BILLY FALCON BAND before Gagliardi's erstwhile FOREIGNER band mate Al Greenwood called with the news that he too had quit the group. Greenwood was immediately enlisted on keyboards. SPYS was born. 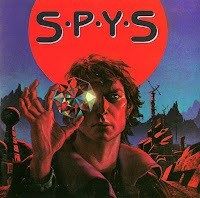 SPYS failed to last the distance and would split with the loss of their record deal. However, Al Greenwood would re-emerge playing in ex-FANDANGO and RAINBOW vocalist JOE LYNN TURNER's solo band in 1985, also playing on his Elektra album 'Rescue You'. 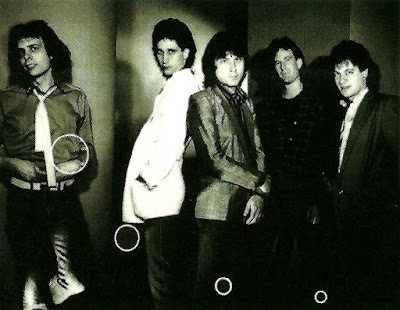 After touring with the vocalist, Greenwood formed NYC in 1988 alongside Turner bandmates Tony Bruno on guitar and Chuck Bonfante on drums, bassist Gary Taylor and vocalist Jon Gorman. Bruno, Taylor and Bonfante all subsequently joined SARAYA. - When you talk about the musical genre 'AOR', many will admit that its days have long been surpassed. When you talk about the quintessential AOR album, many will talk about the likes of Journey, I-Ten, Arcangel, Preview, Aldo Nova etc. But lurking out the back is the Long Island outfit SPYS, which has AOR stamped all over it. SPYS was borne from the marriage of three bands: Harpy (Blanco and DiGaudio), Foreigner (Gagliardi and Greenwood), and the Billy Falcon Band (Milne). The full band line-up came together in the middle of 1980 after their prior gigs ended, for one reason or another. After putting on a rushed 40 minute showcase gig for A&R reps, the band came away with a deal, signed to EMI America. Many of the songs were written by the trio of Blanco, DiGaudio and Gagliardi, the first three members to combine for SPYS. However, it wasn't until two years later that the album was eventually released. 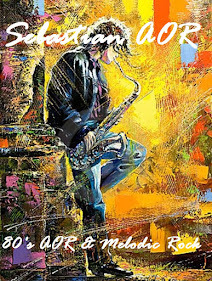 The result, a true AOR masterpiece, appreciated and acknowledged as such by fans of the genre. Of course, we can't forget the immense production from the acclaimed Neil Kernon. Wunderbar! The album has been written and raved about in many publications, but the fact remains, it did very little at the Box Office. 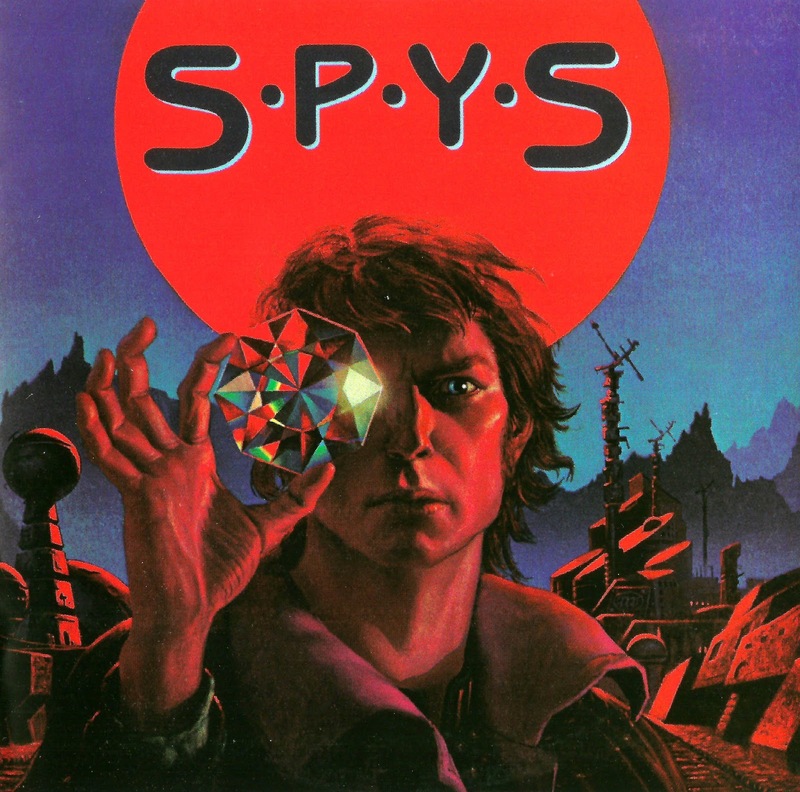 SPYS also had to contend with the changing nature of business in the music industry. Out went big tours, in came MTV, hence the band releasing 'She Can't Wait' as their token video effort. If there is one term that is synonymous with this album, it would be a 'sense of urgency'. A ton of lyrical and musical drama, played out in a commercial environment, unlike the prog like backgrounds experienced by the band members in prior lives. Tracks like 'Don't Run My Life' and 'Over Her' drive hard. The keyboard splashes from Al Greenwood really sink in on tracks like 'Ice Age' and 'Into The Night', air keyboardists could get drunk on these two tunes! The track 'Danger' is similar in style to the material we heard on 'Behind Enemy Lines', while 'Desiree', with stabbing pianos intact has an inkling of Franke And The Knockouts in the mix. Their ballad 'Hold On (When You Feel You're Falling)' is one that I have admired for twenty plus years. It remains for me, a personal highlight and one of the most memorable ballads I've come across.